Roberto was born in the summer of 1934 in a house of concrete and wood on an old country road in Barrio San Antón, Carolina, Puerto Rico. He died on December 31, 1972, in a plane crash a few miles from his birthplace while attempting to deliver aid to earthquake victims in Nicaragua. 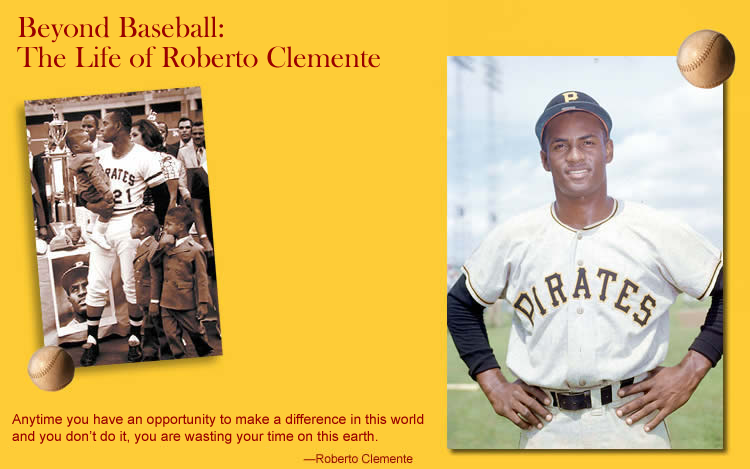 Clemente became a baseball legend in the United States, but in his homeland and throughout Latin America he became a national and cultural icon. His story is a study in character and drive and the ascendancy of man to myth. It provides a unique glimpse into the America of his time, the game known as “America’s Pastime,” and the heroism that transcends both.